Fans of fashion and gaming alike delighted in joy when it was very recently announced that Moschino had teamed up with EA games to create a fashion collection for its record-breaking simulation game, The Sims 4. A quirky move for a high-end fashion house, you say? 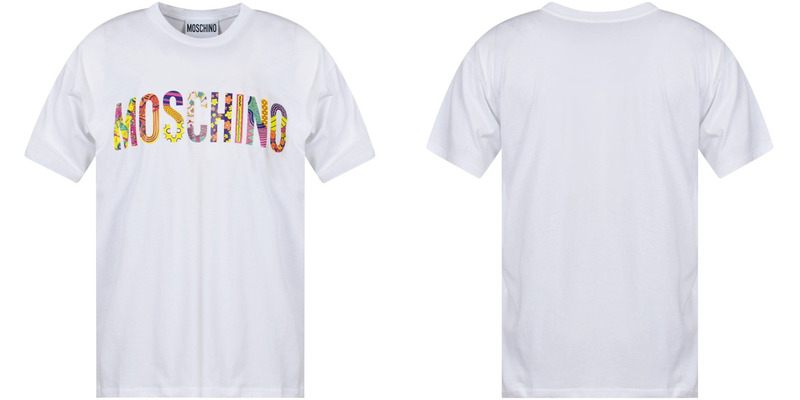 This is typical Moschino, pushing boundaries, thinking outside the box and constantly surprising fans year after year! Founded in 1990 by the late Franco Moschino, the brand soon made its name for its bold, bright and eccentric designs. Franco Moschino was a vocal social activist and was said to have loved fashion not for its glamour, but for the creative process and effort that goes into each garment. After his untimely death at the age of 44, the brand was taken over by creative director Rossella Jardini who helped garner stratospheric success for the house; Moschino has designed costumes for Olympics opening ceremonies, superstar singers like Madonna and now, perhaps most excitingly, they’re dressing Sims. Just joshing! 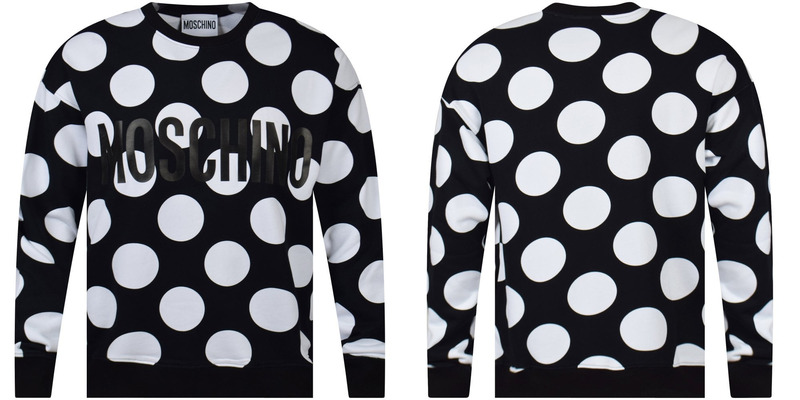 Moschino is a global fashion powerhouse that packs a seriously stylish punch. We’ve compiled 6 of our favourite pieces from the site to whet your appetite, so once you’re done taking them in, check out the whole Moschino collection here! Brand new this season, this oversize, 100% cotton t-shirt screams spring with a colourful, pastel, almost paisley-like pattern making up the brand’s iconic text logo to the centre of the chest. From far away, the pattern resembles flowers, but as you come closer an intricate design of stripes, flowers, swirls and polka-dots (to name but a few) burst out at you, giving this shirt a truly unique feature that will have heads turning. If you love a larger, more casual fit and are looking for a few new t-shirts for your spring wardrobe refresh, make sure to add this one to your cart! Monochrome goes with everything, which makes this the perfect spring sweatshirt if you love a versatile garment! Constructed from 100%, breathable cotton, this crewneck sweatshirt is black all over with white polka-dots. The brand’s text logo is printed to the chest in black, with the polka-dots providing contrast so some of the logo remains in the shadow of the black cotton. It’s a really eye-catching design, and while the mercury remains devastatingly low this April, the perfect buy to ride out the last of the bad weather! Get it before it’s gone! Who doesn’t love a matching set?! These cotton shorts, brand new this season along with the matching sweatshirt, are the perfect coordinating set for summer 2019. They’re oversized, so despite being black, they’ll keep you cool in the heat of the summer, while still keeping eyes on you with their bold polka-dot design. With a stretch waist and side pockets, these shorts are perfect for chilling, whether it’s at home, by the pool or outside your tent at a festival. When day turns to night, pair with the sweatshirt for a more cosy and comfortable feel. Don’t miss out on this fantastic set! For men, it can be hard to find the perfect summer shoe. Trainers are too hot and bulky, and the sandal market doesn’t offer much hope if your goal isn’t to look like a middle-aged dad. So what’s a man to do? Luckily, fashion has solved the problem, with a huge upsurge in the popularity and availability of high end, cutting edge, fashionable pool slides. Perfect for when the heat gets almost too much, they’re comfortable, cool and won’t leave you lacking in the fashion department. 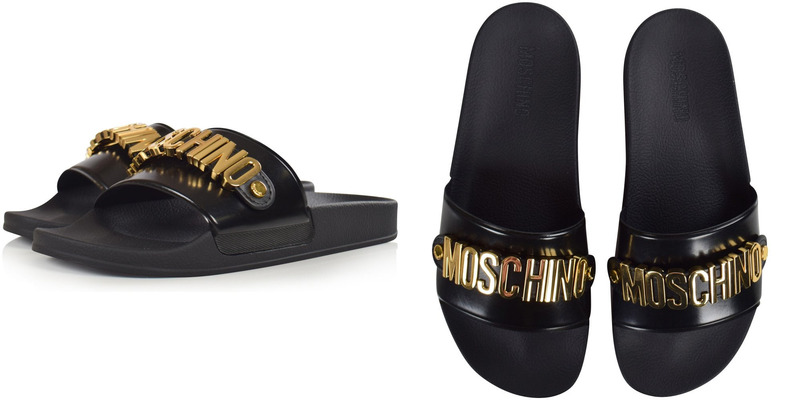 Moschino has got in on the act with these luxury padded black and gold sliders, complete with the Moschino branding to the strap. A must buy for summer 2019! During festival season, only a rookie will leave without a decent, waterproof coat. British weather can be unpredictable and, with most festivals ending up being glorified mud pits within a couple of days, decent protection against the elements is a must. But how, I hear you cry, will I stay looking fashion forward in a mac? 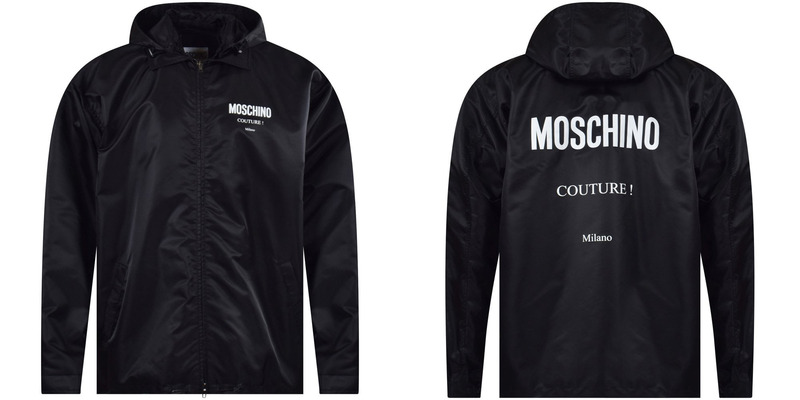 Once again, Moschino have you covered with this jet black windbreaking waterproof jacket. Featuring Moschino branding in white to the chest and the back of the coat, this jacket also has a removable hood and the ability to be rolled up, perfect for packing when space is tight! Festival lovers, this one is a no brainer! For people who love a bit of glam, but also love a bit of comfort, this is definitely the hoodie for you. 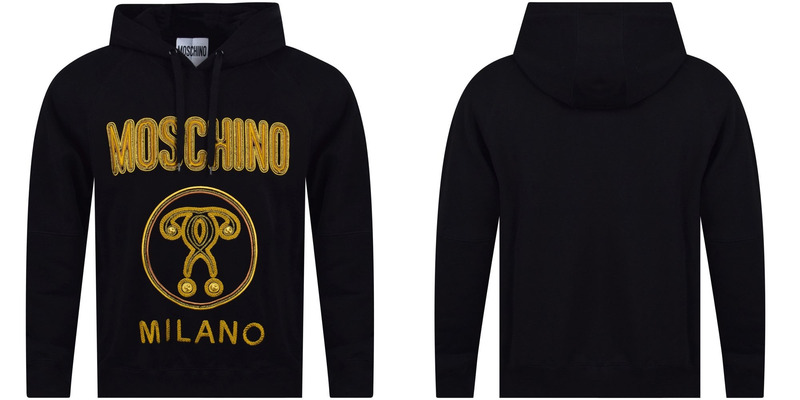 Constructed from black cotton, this oversized black hoodie features the iconic Moschino question mark branding, printed to the chest and opulently embellished with embroidered gold. This is the kind of hoodie you’d buy, but your girlfriend would steal because it’s too pretty for you to wear. Stand your ground lads, and maybe keep it a secret from her when you buy it!